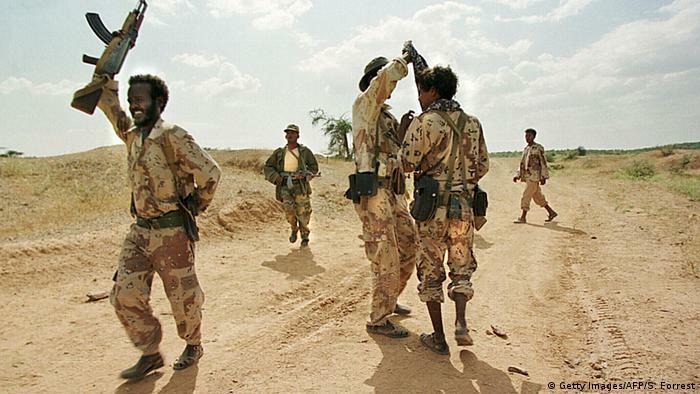 Maas' comments centered on the signing of a peace agreement in July between Ethiopia and Eritrea to formally end the two neighbours' 1998-2000 war. He noted that while Ethiopia had made headway in expanding the human rights of its citizens, there had been a lack of progress in Eritrea. "Reforms similar to the bold ones being carried out in Ethiopia have not been initiated in Eritrea so far," Maas told MPs. "On the contrary, there’s still no strategy to indicate how an orderly opening up within the country could look." In response, Eritrea said Maas' comments reflected "the hostile stance that the German Government has held against Eritrea for a long time now as well, as its perspectives on the unfolding rapprochement between Eritrea and Ethiopia." 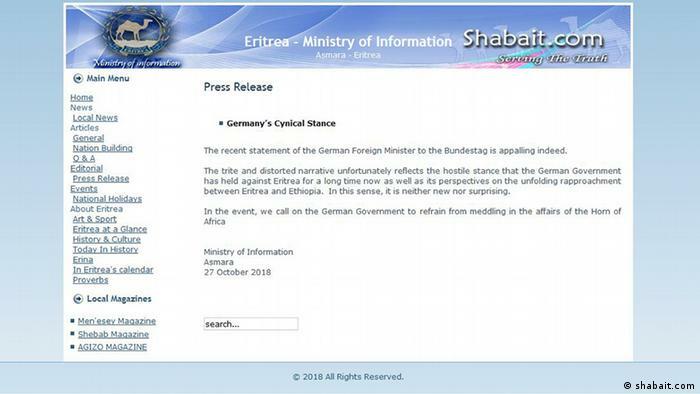 The statement, entitled "Germany's cynical stance," called on Berlin to "refrain from meddling in Horn of Africa affairs." 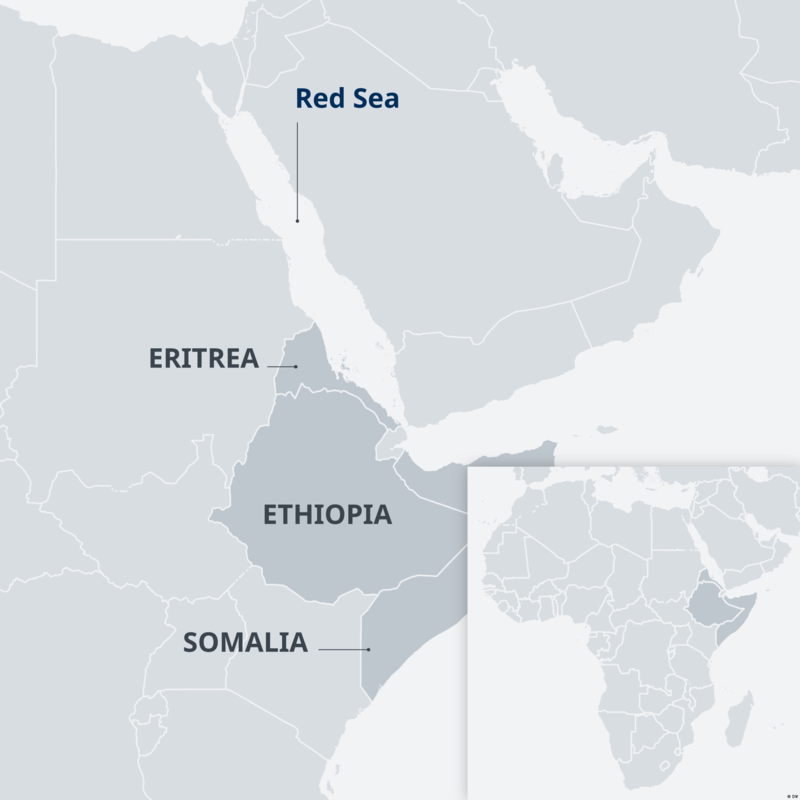 Ethiopia and Eritrea's peace agreement formally ended a two-decade stand-off following their two-year conflict that killed tens of thousands of people. The diplomatic thaw began in June when, under a new reformist leader, Ethiopia said it would fully accept the terms of a previously-rejected peace agreement. The war caused massive civilian displacement, which led many thousands of Eritreans to cross the Mediterranean to claim asylum in Europe. Germany currently has about 75,000 asylum-seekers from Eritrea; some 15,000 young Eritreans sought asylum this year alone, Germany Development Minister Gerd Müller said during his recent trip to Ethiopia.